"What, Coffee Bean Bistro? You mean they started bistro line? I didn't know that!" "No, not bistro. It's beanstro. BEAN-stro." Set up just like a CBTL cafe with better chairs and tables, it may be hard to notice that it's a Beanstro and not just their usual cafe. To be honest, CBTL has never been on my favourite list, ever, for I'm really not a fan of their coffees. So, will the Beanstro impress me? And of course, no coffee for me, thank you very much. 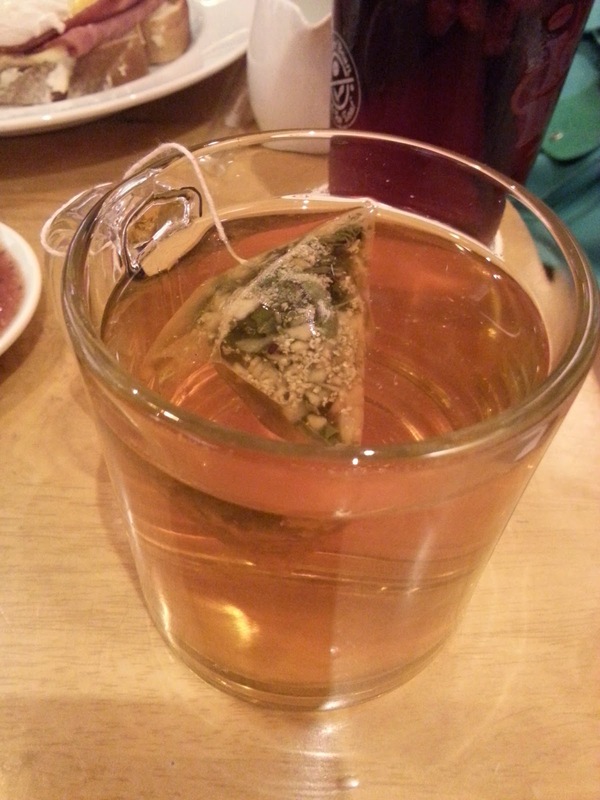 I'll go for a cuppa tea! For starters, we got a few 'finger food' snacks for sharing while we waited for our tardy queen to arrive. 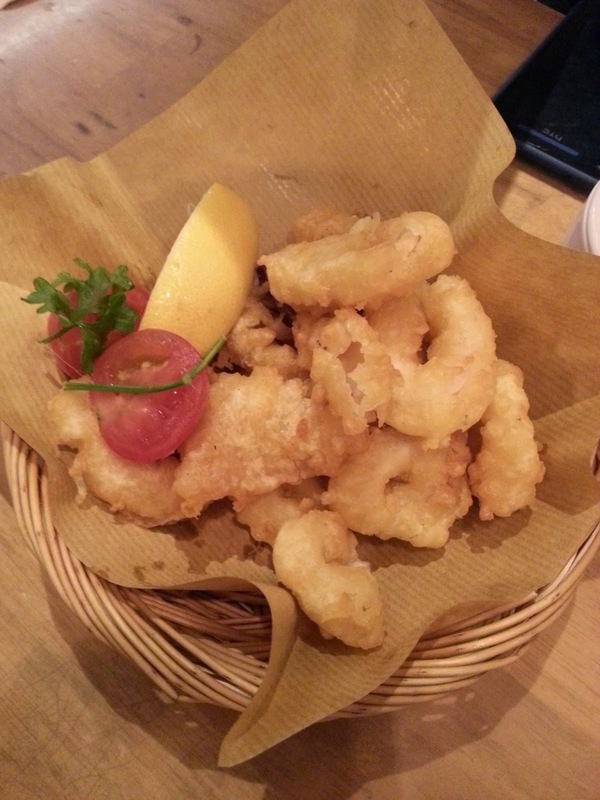 Well, what can go wrong with a basket of well batter, deep fried squids? Near to nothing! The batter wasn't exactly very crispy and the squid wasn't exactly tender-chewy enough, but it was still packed with flavour to make this basket of fried squid pretty addictive. I didn't really get to eat this, because the waiter came and sneakily cleared the plate even though there's still 1 whole, untouched fritter left on it. And yup, he didn't even bother to ask if he can clear it. Just reached in, grabbed the plate and left while we're engrossed in chit-chatting. BAD SERVICE, CBB, BAD SERVICE! Erm, any refund of the (perhaps) $2? But according to the rest who has eaten it, it's still 'not too bad' for a cheese lover. 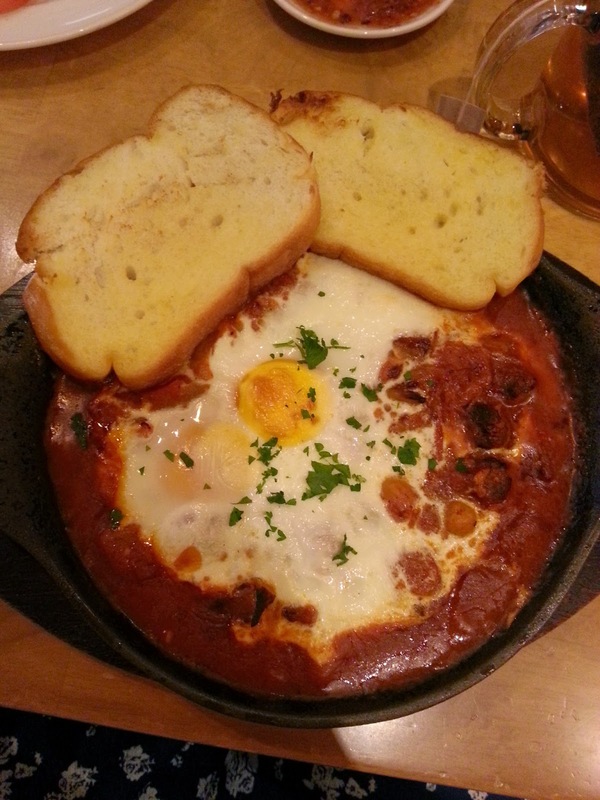 A pair of lamb Marquez in tomato stew done Moroccan style, overlaid with eggs and baked in a hot plate! Well, sorry for the bad picture. CBB is quite a bad place to be taking pictures due to backlight in every corner and every single angle. But this dish is really delish! However, the serving is pretty small and if it's not for the 2 slices of toasted baguette and with the calamari, I might have left the place hungry. I can't really say I understand the point of adding 2 eggs on top of the dish, for it doesn't complement ANYTHING imo. Well, it might have been for the toasts, which were better off being paired with the tomato stew to begin with. So In the end, I pretty much gobbled down the runny yolks first (I really cannot imagine the taste of it getting mixed into the rest of the stew) before moving on with the rest of the dish. The lamb cubes were tender and savoury, and the tangy tomato stew simply brought out more of its flavour. If you're a lamb and tomato lover like me, I really recommend that you try this! Oozing with cheese, grilled chicken snail sausage on Idaho mash with caraway sour cabbage and onion gravy. Two softly poached eggs built on toasted Vienna with chicken ham, lime vinaigrette mesclun and hollandaise sauce. Frankly speaking, I won't say that they're very affordable but the food quality is definitely there for a cafe (even though beanstro's concept is meant to be a casual dining restaurant, I still view CBB more as a cafe), and it makes the penny a little more worth spent. Service wise, really... please train up your waiters and remind them to NOT clear off non-empty plates WITHOUT asking the diners if it's alright to do so. That was just plain rude. It's appalling. Have you tried calling the attention of the person who took the plate or did you complain to the supervisor/manager? I hope you did so they could correct their wrong actions. I have tried staying in a Coffee Bean before but somehow, they offer different kind of products here in our country. 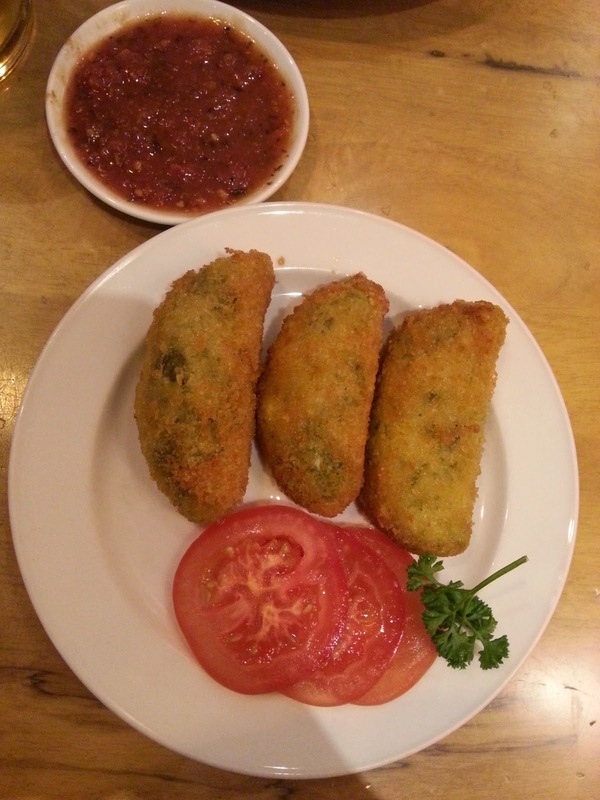 The Coffee Bean Bistro offers a great variety of food that looks freshly cooked and healthy. I would love to indulge myself in the delicious Morrocan Lamb Casserole! I like Coffee Bean but I usually only get their ice blended mocha. I am appalled by such service! That is such a big mistake done by their service staff. They should bring Beanstro here in the Philippines a-sap ❤️. I think this one's gonna come here to my country soon and I'm sure it's going to be a huge hit because Filipinos are big with coffee shops and food. 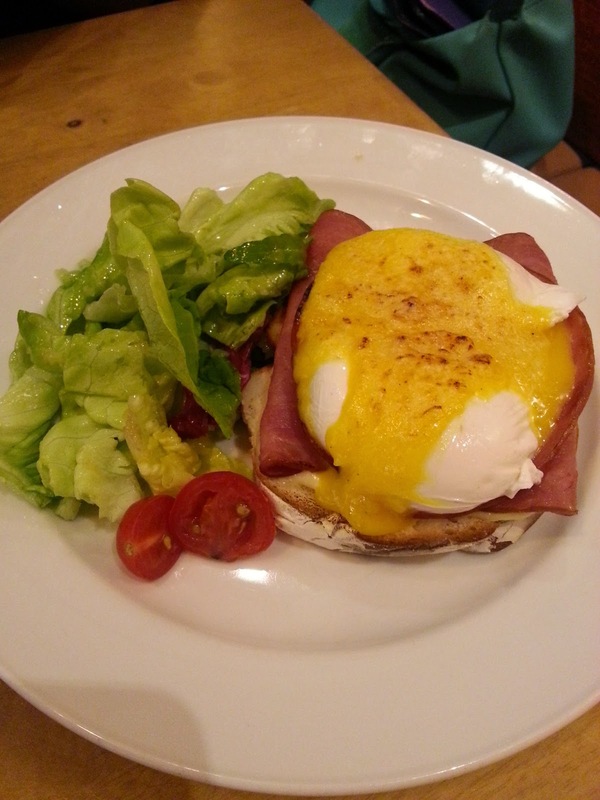 The Eggs Benedict looks divine! I'm loving all the cheese I see! I think I just love food pictures in general though lol. Looks great! Another food option.. I love it.. I just can't dig coffee.. I stop reading and fous on the point of bad service. It is bad because the waiter had cleaned up the table when you're not done yet eating. Well, I couldn't say who is wrong. I just simply ask: Did the waiter ask you if you're done? If not, he's discourteous and he should be reprimanded. Again, did you tell him that you're not done yet? If not, better forget him. He's apt to do his job. Anyway be considerate although you're paying for it. very nice of you to not read the full post and drop me comment asking me details that's already mentioned in the post. Well I admit that I have missed the explanation statement. I am very sorry. Well, you may delete my comment if you want to. Just go ahead. Nothing personal. 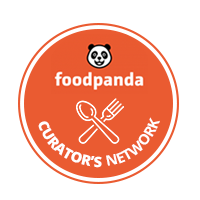 Great place to eat great foods. It seems the food served here are so delicious and tasty. Ohh.. the lamb casserole looks real good. I may wanna try it if I shall visit them. They have more unique food offerings at Coffee Bean beanstro than other coffee beans. I also like the food and coffee at Coffee Bean. Loved the grub offered by the coffee house but too bad the service was bad. It is a big turn off for me! 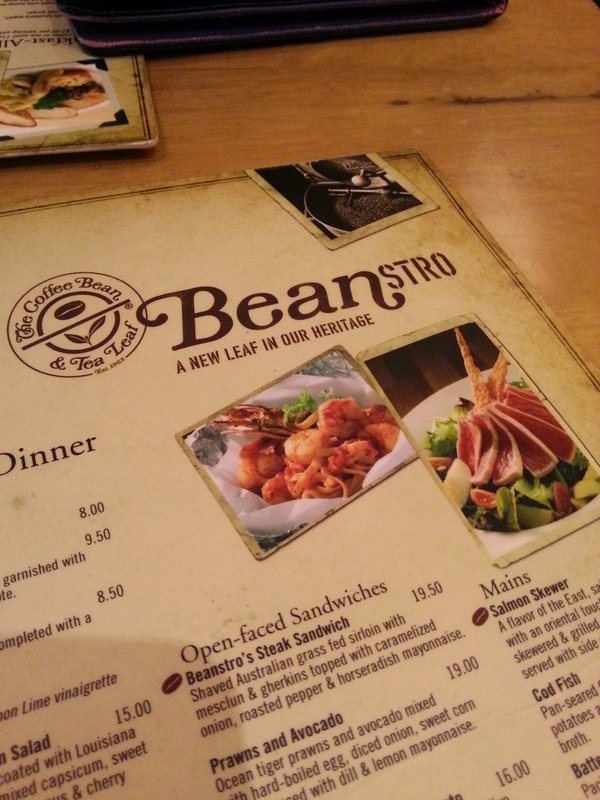 I don't know that there is CBTL beanstro. I am loyal to CBTL and I have to check this place. By the time I finished reading your post, I was decidedly staring... Must dash now to eat. The food looks great and decor is welcoming.